Boxer Jake LaMotta was born in 1922 in New York City. 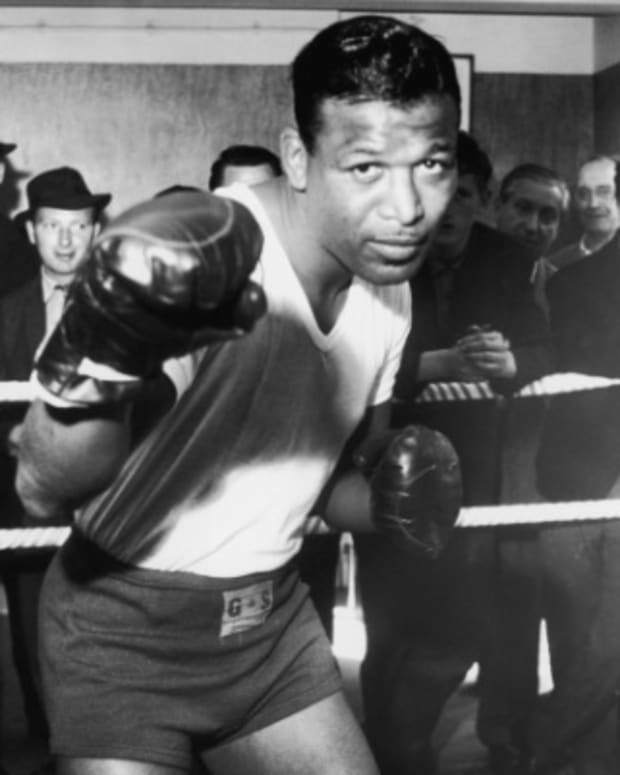 A fearsome brawler, the "Bronx Bull" became the world middleweight champion in 1949, and engaged in several memorable bouts with fellow champion Sugar Ray Robinson before retiring in 1954. 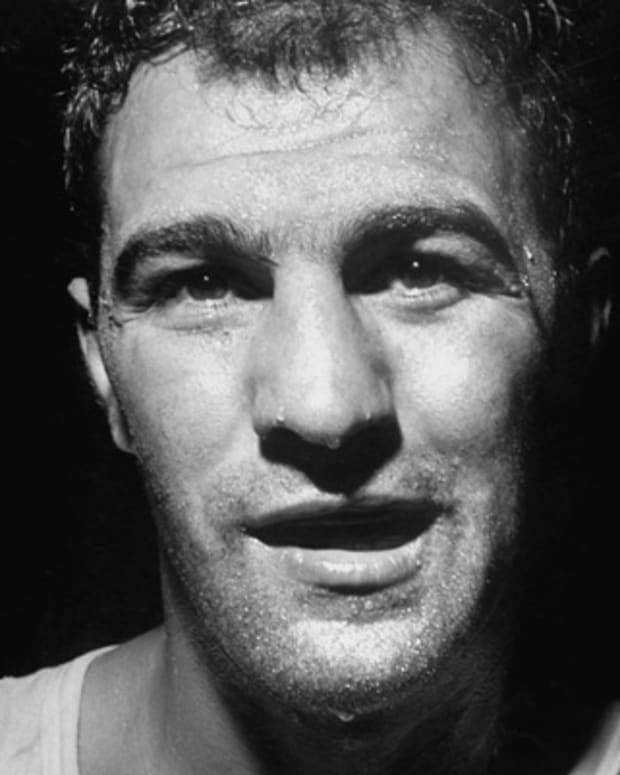 His 1970 autobiography was adapted into Martin Scorsese&apos;s acclaimed 1980 biopic Raging Bull, which starred Robert De Niro as LaMotta. Professional boxer Giacobbe "Jake" LaMotta was born on July 10, 1922, in New York City. Raised in the New York City borough of the Bronx, he developed an explosive temper at a young age. Encouraged by his father, LaMotta started putting his violent nature to work, starting fights in the street to help earn money for his family. Later, LaMotta got in trouble after he tried to rob a jewelry store and spent time in reform school. 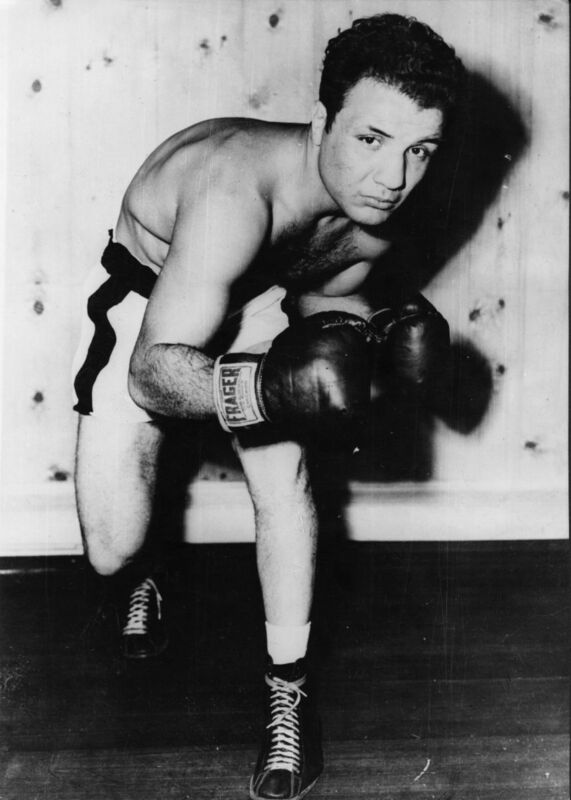 At the age of 19, the rough, streetwise LaMotta became a professional boxer. 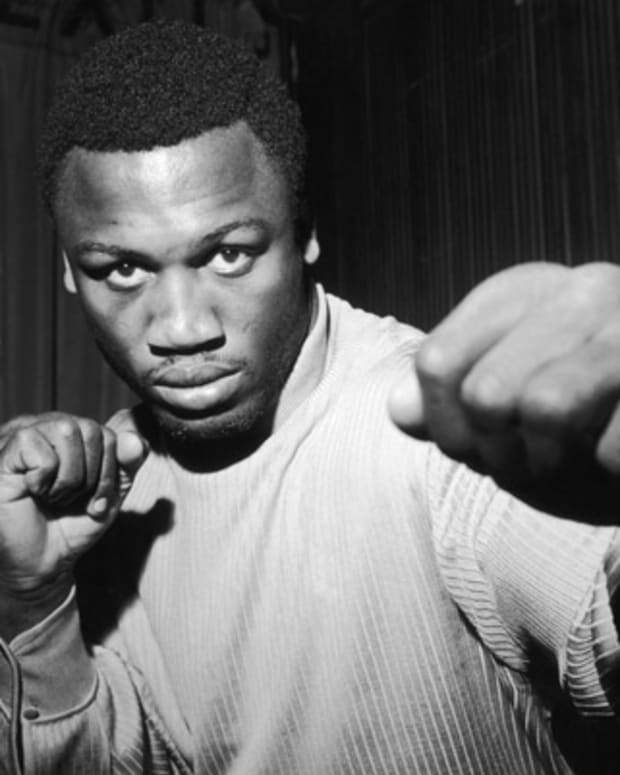 Aggressive and relentless in the ring, he was known for his ability to take a punch. But he was also a deceptively smart fighter, often duping opponents into thinking he was losing steam before launching his attack. After suffering a defeat in his first fight with boxing legend Sugar Ray Robinson, LaMotta became the first boxer to defeat Robinson in a 1943 bout. Other heavy hitters got a taste of LaMotta&apos;s bull-like style, including Fritzie Zivic, Tommy Bell and Tony Janiro. 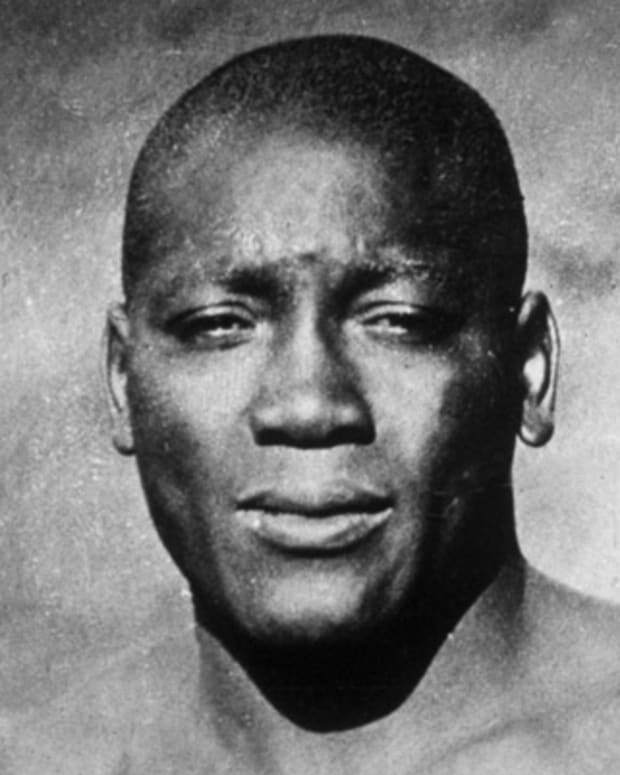 But his most notorious fight was his loss to Billy Fox in 1947, which prompted widespread speculation that he purposely threw the bout. In 1949, LaMotta defeated French champ Marcel Cerdan for the middleweight championship. The two were scheduled for a rematch, which had to be called off after Cerdan died in a plane crash. LaMotta then successfully defended his title against Tiberio Mitri and Laurent Dauthuille, the latter win coming via a dramatic last-second knockout. 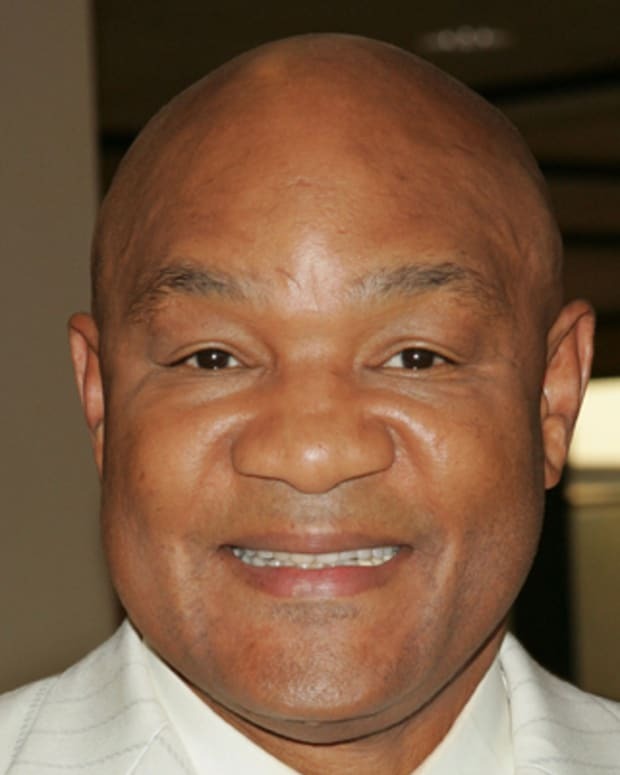 In 1951, he faced longtime rival Sugar Ray Robinson in the ring for the sixth and final time. In a bout dubbed the "St. Valentine&apos;s Day Massacre," Robinson landed powerful punch after punch, but LaMotta refused to go down. The beating was so bad that a referee stepped in to end the fight in the 13th round. LaMotta moved up to light heavyweight and fought a few more times after this tremendous defeat, but he never earned another title shot. 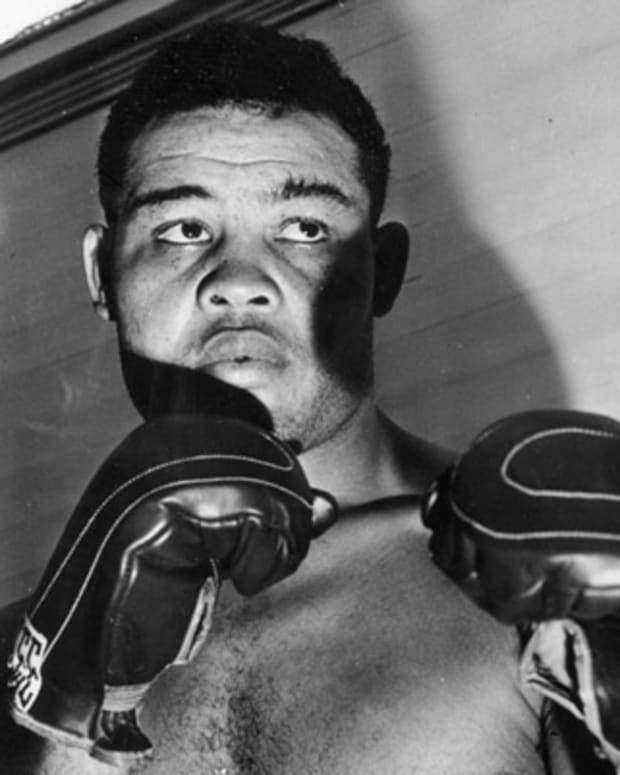 After a loss to Billy Kilgore in 1954, the Bronx Bull announced he was retiring from the ring for good. He finished with a career record of 83-19-4, with 30 knockouts. After his boxing career was over, LaMotta ran a bar in Miami and reportedly dated such Hollywood starlets as Jayne Mansfield and Hedy Lamarr. 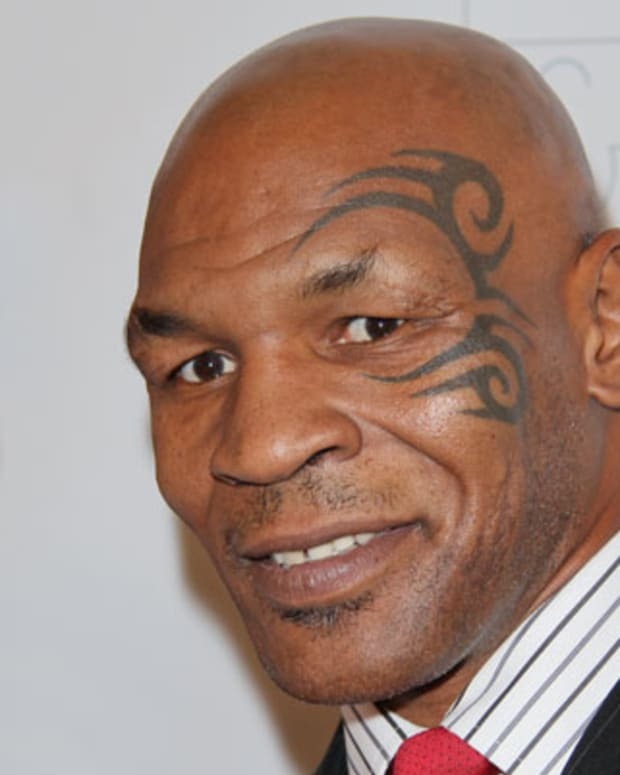 But his good life turned sour near the end of the decade, when he was arrested on charges of promoting prostitution and contributing to the delinquency of a minor, and he served six months in prison. 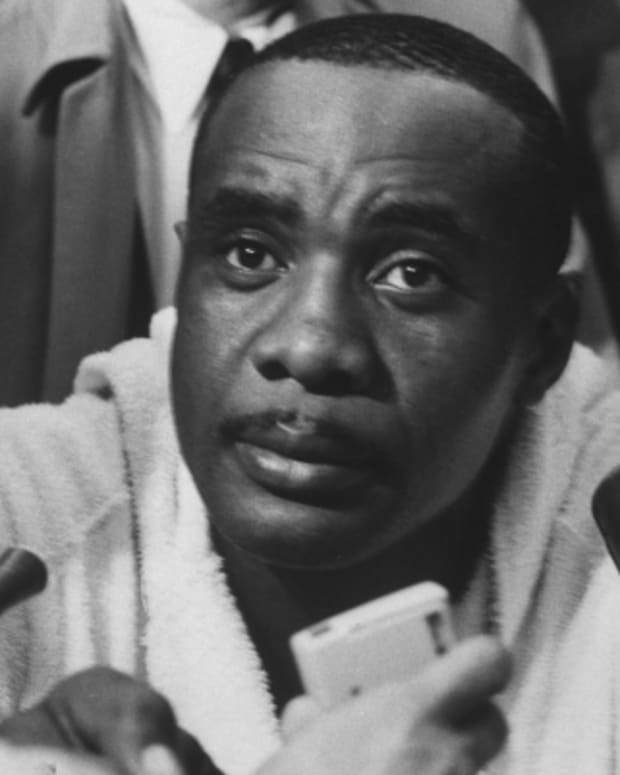 More hard times came in 1960, when he admitted he took a dive during the Fox fight to a Senate subcommittee investigating organized crime’s involvement in boxing. In 1970, LaMotta shared the details of his violent, stormy personal life and professional career in his autobiography Raging Bull: My Story. He revealed his insecurities, jealous nature and history of violence against women. The book was made into the 1980 film Raging Bull, which starred Robert De Niro as LaMotta and was directed by Martin Scorsese. 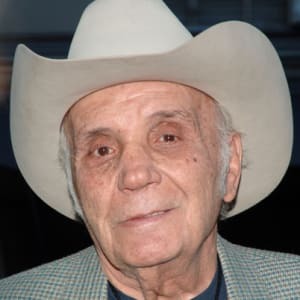 Along with showing his prowess inside the ring, the film examined LaMotta&apos;s destructive ways and volcanic temper beyond the ropes, especially his abusive relationship with his second wife, Vikki, played by Cathy Moriarty. 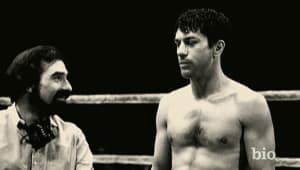 The film won two Academy Awards, including Best Actor for De Niro, and the resulting popularity renewed the public’s interest in the former champion. Capitalizing on this new wave of attention, the second installment of his memoirs, Raging Bull II, was published in 1986. READ ARTICLE: "A Look Behind the Scenes of Raging Bull"
LaMotta was inducted into the International Boxing Hall of Fame in 1990. In 1998, he experienced immense personal tragedy when he lost his two sons from his second marriage, Jack and Joseph. Jack died of cancer, and Joseph died seven months later in an airplane crash. Over the years, LaMotta kept himself busy with personal appearances and autograph shows, and even marketed a line of pasta sauces for a time. In 2012, at age 90, he performed in an autobiographical revue titled Lady and the Champ that ran off-Broadway for two weeks. 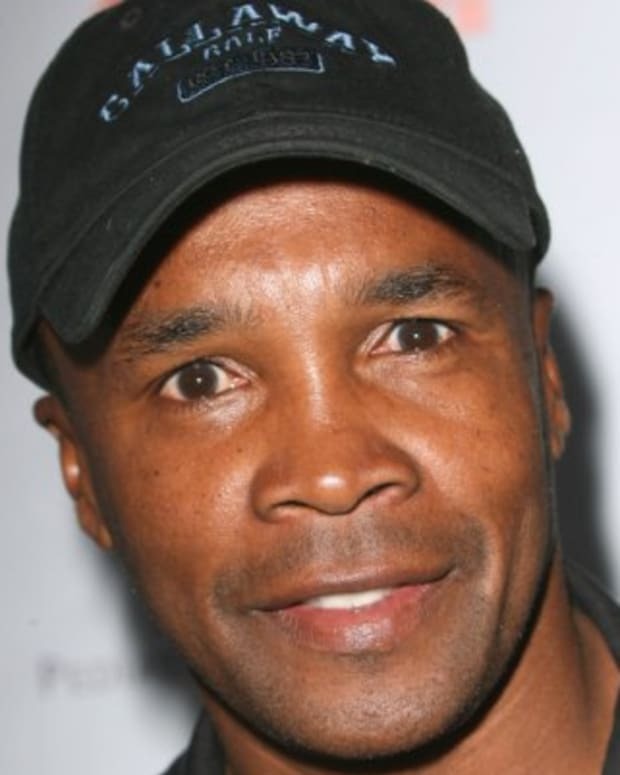 In early 2013, LaMotta married for a seventh time, to actress Denise Baker, his co-star and writer of Lady and the Champ. A second movie about his life, The Bronx Bull, featuring such respected actors as William Forsythe, Paul Sorvino and Joe Mantegna, premiered at the Newport Film Festival in 2016 and was released a year later. The former champ died from complications of pneumonia in a Miami nursing home on September 19, 2017. He was 95.